One of our favorite parts of the Tony Awards (aside from the fabulous fashion and totally GIF-able moments) is seeing stars perform selections from Broadway musicals in front of a nationwide audience. The 2017 ceremony was chock full of great performances, including numbers from Dear Evan Hansen, Come From Away, Groundhog Day, Great Comet, Bandstand, Miss Saigon and tons more. We asked you to vote for your favorites—here are your top five! Bandstand’s director/choreographer Andy Blankenbuehler took home the Tony Award for Best Choreography, and his work shines brighter than a brass band in the show-stopping number “Nobody.” Seriously: what’s better than Corey Cott and Laura Osnes belting in each other’s faces at an old-timey mic? And good luck not tapping your toe to the band’s swingin’ sound. We definitely have a crush on everyone in this cast. Come From Away was the first Best Musical nominee to perform during the evening, and boy, did this cast set the TONE. Tony nominee Jenn Colella and the entire cast came together to belt out the electric show-opener “Welcome to the Rock.” This super-friendly, tight-knit ensemble brings the energy on and off the stage, and this anthem of unity captured that beautifully. Also—just try not to get “I’m an islander” stuck in your head. Mega-musical Miss Saigon has a slew of star-spangled numbers to choose from: “American Dream,” “The Heat Is On” and so many more. The high-drama “I’d Give My Life For You" showcased the company’s commitment to not only making a beautiful display, but truly acting through every group number. And Tony nominee Eva Noblezada was able to show off that unforgettable power belt. Regardless of whether you went out on the town after the ceremony or snuggled up in your jammies, you attended the party of the evening, nay, the year. The Great Comet cast performed an epic medley of “Dust and Ashes” and “The Abduction,” complete with Josh Groban’s heavenly vocals, Lucas Steele’s coat flourishes and even a snog sesh between standouts Grace McLean and Amber Gray. In the words of Dave Malloy: “Here’s to happiness, freedom and life,” all of which this performance and this innovative, incredible musical has exuded since its downtown run. Fans tap, tap, tapped on our poll for the night’s big winner, Dear Evan Hansen. 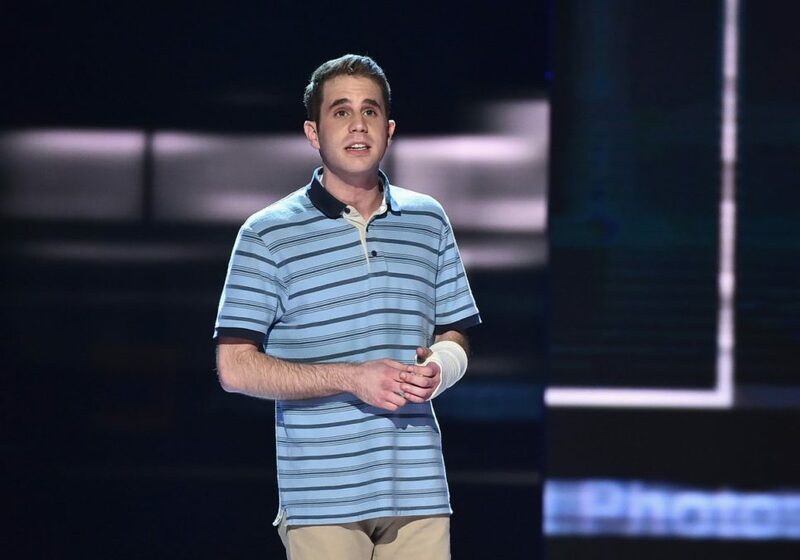 Tony winner Ben Platt put everything he had into Pasek & Paul’s Broadway.com Audience Choice Award-winning anthem “Waving Through a Window.” “Will I ever make a sound?” Platt timidly asks in character as Evan Hansen. Yes, sir. At the 71st annual Tony Awards, Dear Evan Hansen was the sonic boom. Congrats to all of this year’s winners and performers!